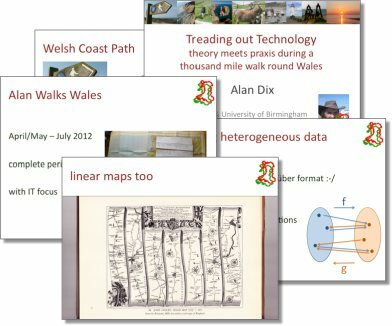 One of the main headings for this site is ‘maps‘, as they are both core to any real walk and also things of such wonder in themselves. Not unexpectedly a number of my Christmas presents have been related to the Wales walk, and I’ll blog about these later. 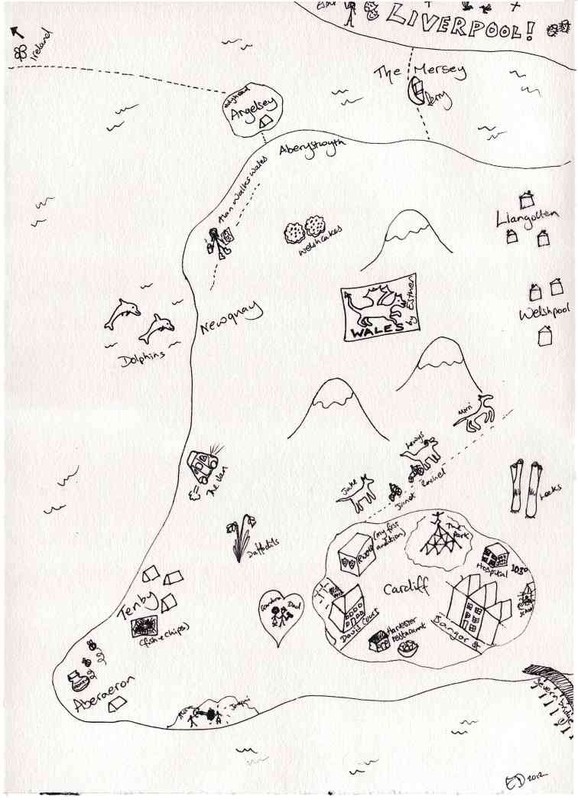 However, one of them is a map of Wales, hand-drawn by Esther. Just as I talk about in the page about maps, this is not a ‘standard’ map, not an attempt at cartographic verisimilitude, but more an open story of places and incidents, rendered from memory. Tenby is north of Aberaeron, and Liverpool (with Wirral elided), where Esther now lives, extends across the whole length of North Wales. On the map mountains are dwarfed by Janet and Rachel’s dogs, and Cardiff is represented not by the Castle, the Millennium Stadium or the City Hall, but instead by Bangor St where I was born and brought up, Daviot St where my mum lived for after selling the house, and the hospital where we took Esther as a tiny child running a temperature of 103 degrees (Fahrenheit not Celsius!). Stone throwing seems to be theme with both the stone I threw as a child that saw my sister rushed to hospital for stitches to her nose and also the stone I threw at the school wall, but missed and hit the window. What I never told the teachers was that I’d seen something about erosion on television and thought repeated stone throwing would reduce the school to a beach allowing is to make sand castes all day – never think small. 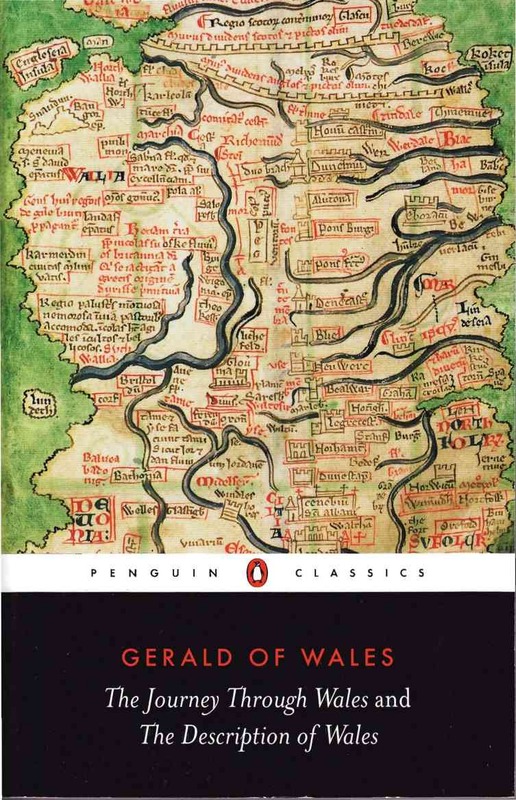 Esther’s map reminds me of medieval maps, like this 13th Century map on the cover of the Penguin translation of Gerald Of Wales “The Journey through Wales and The Description of Wales” (another Christmas present!). On this map, Wales extends almost to the current Scottish border, with the whole of Cumbria and Lancashire reduced to a vestigial headland. Maps are always interpretations, focusing on what is important to the cartographer and reader, whether roads and towns, or lighthouses and anchorage depths; memories of places once known and promise of visits to come.